I became a doula in the beginning of 2002 because I thought that I wanted to be a midwife and I wanted to see if I could handle the on-call life along with the stresses and joys of working with childbirthing families. I never thought I would love it the way I do. Even now, when I have achieved my dream of working as a midwife, I still love providing support to women and their loved ones who are planning births in a hospital or birth center environment. Being a doula allows me to make positive relationships with the people in the hospital birthing community. I feel like I can advocate for my doula clients much more effectively because I have developed those relationships. My 8 years of experience working in birth also means that I have a deep understanding of how pregnancy and birth works. It makes me able to help families interpret the information and care plans they have been given by their midwives and doctors, both in pregnancy and in birth, hopefully empowering them to make decisions in line with their own values and goals. My work as a midwife helps me to better help moms labor at home comfortably and effectively, turning early labor into a positive, empowering experience instead of a potentially anxiety-provoking, exhausting time. Once active labor begins, my skill as a midwife means that I can help solve positioning problems with the baby to help labor go more effectively and avoid c-sections. My experience with birthing women over the last 5 years and my experience as a mom of two boys have enabled me to gather a wealth of experience on baby care and breastfeeding. I hope that I can be a nurturing, positive, helpful presence in the postpartum period. 2-3 prenatals in your home. Prenatals are typically around 1-2 hours long. We discuss your pregnancy history, any concerns you might have, preparing emotionally for giving birth, birth plans and interventions, strategies for getting good service from care providers, how I can help you be comfortable (massage? encouragement? preserving your peace, quiet, and privacy? ), and plans for laboring at home and hospital. Attendance at your birth: I will come to support you, at home or in the hospital, as you wish, at any point in your labor. I stay with you throughout your labor until your baby is born and then for the immediate postpartum period. I hire specific backup doulas for your birth so that you will have a person to contact in the rare case that I am unable to come to your birth or your birth is unusually long (I have used a backup just twice in the 8 years I have been practicing). Their on-call fees are part of your package with me. 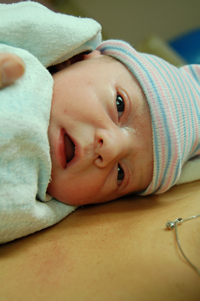 Postpartum care: I offer 2-3 visits in the postpartum period. I usually visit women once in the hospital, and 1-2 times more once they get home to discuss how they feel about their birth, how their new baby is impacting their lives, baby care, and breastfeeding. The cost for this labor support package is $750. I accept payment by credit card via paypal (as well as cash and check, of course!). A sliding scale applies for families with a total income of under $50,000 per year.